If there’s a sensation that comes easy to first-time VR users, it’s discomfort – and an early wave of developers have taken to the technology with the aim of unseating their audience. Valve have experimented with vertigo, and Rift-owning indies are racing to build claustrophobic horror games like Caffeine. White Lotus are doing the opposite. Rather than accentuate the disorienting effects of virtual reality, they’d rather pitch for peace and serenity. Welcome to the afterlife: it’s got puzzles. In Xing, the newly dead wake up in the clouds. That’s good news for theists – but potentially bad news for those with a fear of heights. White Lotus take their role as early colonisers of VR seriously. They know they’re going to leave impressions on people – first impressions about the medium that might stick. The White Lotus team harbours a convenient spectrum of tolerances to simulator sickness. While third co-founder James Steininger is “borderline immune”, Kruer is “somewhat susceptible” – and Torkington’s nausea levels lie somewhere in the middle. The game they’ll be trying is an exploratory first-person adventure. Players take on the role of a bodyless spirit new to the afterlife, and drift through a series of mystical lands. Along the way, they’ll look for answers to the big questions: what’s this whole afterlife thing about? What are its rules? Is there a moving on? And how do I solve this puzzle anyway? 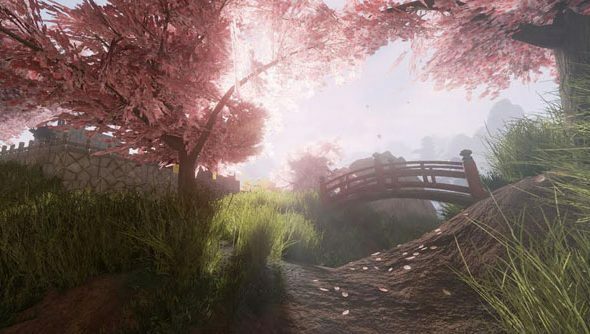 If you think you can feel the influence of Myst descending, you’re right – but White Lotus also cite contemporary inspirations like Portal and The Talos Principle. White Lotus have shot for “serene, peaceful” environments. While Xing doesn’t take place on Earth, per se, they’ve paid a lot of attention to history and “the way things are constructed”. It’s an approach that’s yielded peaks dotted with East Asian archways and flora; fiery caverns with Anglo-Saxon patterns laced into the stone; jungles peppered with temples from either South America or Stargate. And contrary to common level design, desert doesn’t have to mean Ancient Egypt. Xing: The Land Beyond doesn’t yet have a release date. Unreal Engine 4 development is available to anyone for a $19 monthly subscription fee. In this sponsored series, we’re looking at how game developers are taking advantage of Unreal Engine 4 to create a new generation of PC games. With thanks to Epic Games and White Lotus Interactive. 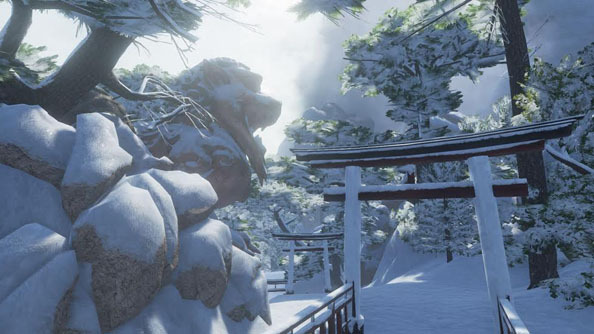 The team have made use of Unreal Engine 4’s capacity for physically-based rendering and models – and the “tremendous amount of tools” in the engine that helps devs ensure their work remains consistent across a range of art techniques. 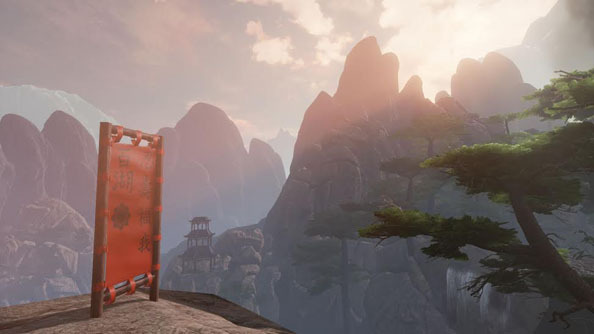 Xing was running in Unreal Engine 3 when it was shown at GDC last year – the same GDC that saw Epic announce their affordable monthly subscription for UE4. Kruer, who had been wary of switching engines mid-project, returned from the Epic booth to tell her co-devs: “Guys, we might need this. No really, we might”. Once switched, White Lotus took the opportunity to rethink some of the game’s style and refocus around readability. That clarity becomes especially important when you consider that White Locus have ditched UI and dialogue in favour of cues embedded in the world – poetry etched into stone monuments, and a gravity gun-inspired pick-up system for objects. 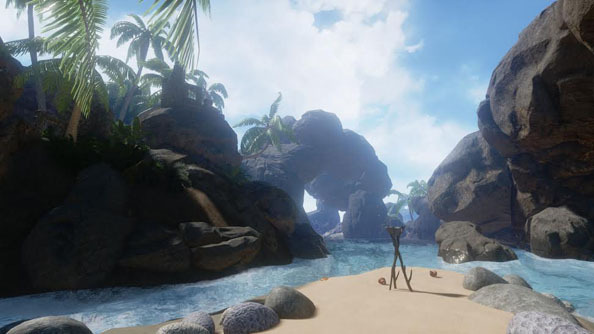 Items in Xing’s world won’t disappear into an invisible inventory until needed – they’ll be picked up, manipulated and carried around by the player in first-person. 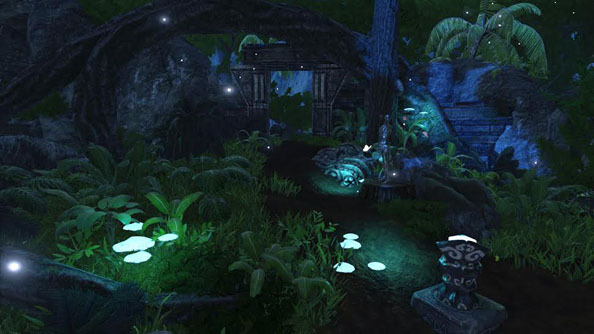 White Lotus’ experiments with game development tools also inspired one of its key mechanics – environmental control. If we can turn on the rain with the flick of a switch, thought White Lotus, then why can’t our players? 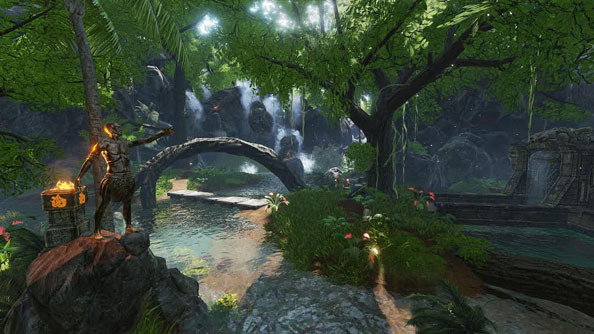 Xing’s puzzles now revolve around dynamic environmental tools that match their backdrops: in the rainforest, the player can harness the rain to make an impassable ravine passable – but will need to deal with the new waterfall they’ve created too. No matter how outlandish the cultures or changeable the environments, however, Xing won’t leave first-time VR players spinning.